Premium partial mash craft beer-making kit. Makes 18.9 litres. This clean, hoppy pale ale is sure to please. Aromatic and well-balanced. This clean, hoppy pale ale is sure to please. Aromatic and well-balanced. Do you want to have some beer-making fun? Do you want to make some great beer? 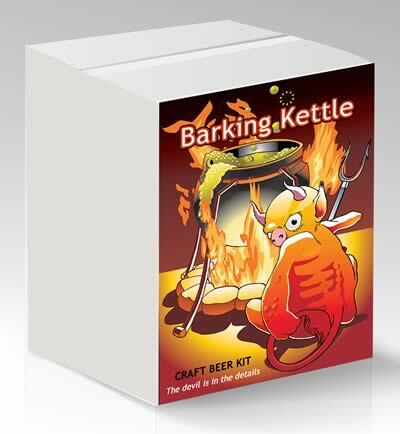 Then you have to try one of our Barking Kettle Craft Beer Kits™! We use quality ingredients including specialty roasted malts, real hops and 100% pure malt extract to deliver the ultimate beer kit. Make your own great-tasting craft beer right in your kitchen. No special equipment required. All you need is your regular brewing equipment, a large boiling pot (18 litres or better), and a thermometer capable of reading boiling temperatures (100° Celsius).